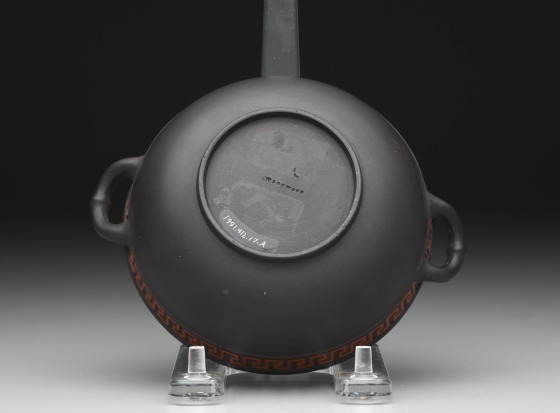 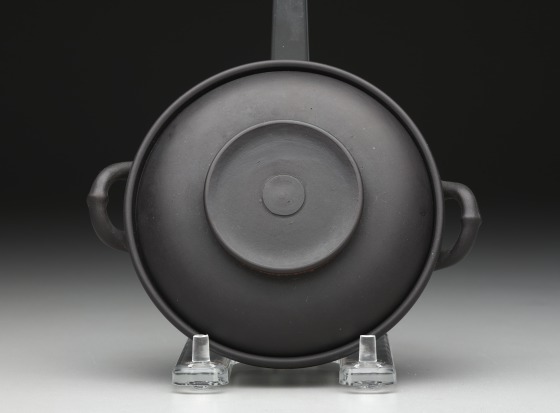 This black basalt sugar bowl and cover is decorated in rosso antico relief with a meander border, interrupted by two loop handles in a style reminiscent of ancient Greece. The cover features an egg-and-dart border, a common architectural feature of buildings in ancient Greece and Rome. 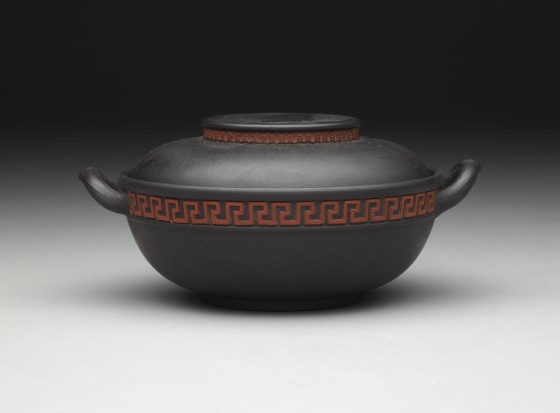 Wedgwood is well-known for its neoclassical wares from the 19th century.